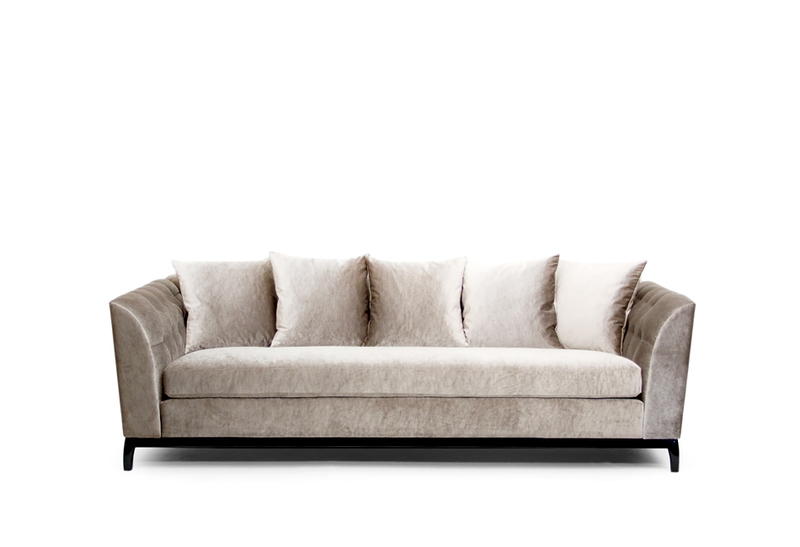 Magnus reveals itself as a symbol of elegance and comfort. The deep-buttoned arms and the multiple pillows gives you delight greater comfort. Upholstery in a bespoke fabric with a black high gloss footer. Handmade in solid wood and poplar plywood and equipped with elastic straps. Foam in 100% PU with BS standard fire specifications or Fire retardant interlining is available upon request. Upholstery available with double cone springs for a more lively and comfortable seat. Mainframe elements are reinforced by metal parts and screws.